As a restaurant owner, you can’t do everything yourself. At least not efficiently. Many tasks around your restaurant can be outsourced. 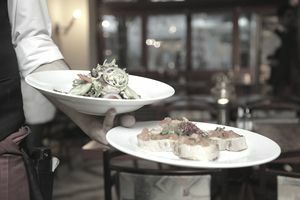 Outsourcing simply means you hire an outside party to do certain jobs for your restaurant, rather than paying your staff (or yourself) to do them. Business taxes are much more complicated than personal taxes. A professional accountant knows the tax laws in your state as well as the federal level. A bonus of using an accountant is that they can do your personal taxes as well since your income is generated from your business. A good accountant can save your business money and make sure you don’t run into trouble with the tax man later on down the road. Payroll for your restaurant requires more than just writing a weekly paycheck to employees. You need to file their W2 forms, figure out and pay payroll taxes, both local and federal. If an employee owes child support or has other wage garnishes, you are responsible for enforcing them. Few restaurant owners have the time to tackle their own payroll unless their restaurant staff is very, very small. Luckily, there are many companies that specialize in payroll. For a modest weekly fee, the payroll company will figure all your employee's wages, tips, and taxes. Some companies take an automatic withdrawal of your entire payroll right out of the bank, while others just cut checks from your bank account. Restaurants go through a surprising amount of laundry, from dish rags to chef’s coats to wait aprons. Instead of washing greasy rags, which need industrial strength cleaner, send them out to a laundry service. The same companies who do your kitchen rags also offer chefs coats and uniform services, ensuring that your employees always look their best. It is imperative that your restaurant kitchen stay clean and hygienic if you want to serve food out of it. While you should certainly have a detailed and rigorous restaurant kitchen cleaning list, you should also do a deep clean three or four times a year. It entails cleaning areas like the kitchen hood, under the coolers and behind the stove. A professional cleaning company can do the job for you, often for as much as you would pay your staff to clean after you figure in cleaning supplies and equipment. A website is a given in for any small business. The new norm is to google a restaurant for its hours, directions, menus or entertainment schedule. Unless you have a lot of time to devote to building your own website (not likely) it is best to leave it to a professional. You wouldn’t paint the sign on the front of your restaurant yourself because it would most likely look unprofessional and not a good representation of your business. The same idea applies to websites. Your restaurant website should look professional and make a good impression on potential customers. Even though more and more people entering the restaurant business are computer savvy, it is still best to outsource this area of your business.